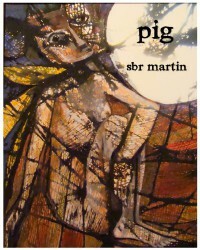 "Pig" by SBR Martin is the first book in a very long time to leave me at a loss for words. A loss for words that can adequately give this book the justice it so rightfully deserves. "Good" or "Great" would be redundant. "Amazing!" doesn't even begin to cover it. For once, this reviewer is truly at a loss for words, but I will do my best to make everyone who reads this understand how incredible this book truly is. I have no idea who won 1st place in the 2012 Amazon Breakthrough Novel Award Contest, but it is my firm belief that Sbr should have won first. No offense to the first place winner, of course. I finished this book minutes ago and I am still reeling from it's ending, so please bear with me. I feel as though I am still there, standing by Lily's side, watching her life and Bender's life unfold. Much like one feels when a loved one passes away, I can barely believe my time with "Pig" is over. Fiction or not--this book seemed entirely real to this reader. The truth is, Lily was not the pig of this book, though her husband told her repeatedly she was. No, the only "pig" in this book was Bender, himself. Ironically, he couldn't smell his own stink until it was too late. The mud he slung stuck to Lily as he buried her in his filth for years. Why did she stay? Why did she put up with it? Why not? When bad things happen everywhere, where is a woman with two children supposed to go? Who should she turn to? After all, she is covered in filth, filth from her lawfully wedded husband. Filth that can never be cleansed away. "Pig" is brilliant! No, I take that back, it is beyond brilliant and I have yet to find the exact word to describe this book. I am in awe of Sbr's storytelling ability, truly in awe. The amount of psychological suspense and weight it carries is astounding and the ending packs a punch like no other story I have read and I urge, no I plead with you to read it for yourselves. 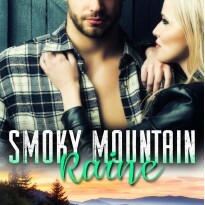 This is one story you do NOT want to let pass you by. Whether you have been abused, know someone who was, or even if you have never witnessed any such behavior, “Pig” is a completely relatable story. Sbr Martin has given birth to characters that are so incredibly "normal" and intriguing. One cannot help loving and hating both Lily and Bender. Love Bender? Maybe when he dies. Hate Lily? For tolerating such horrible treatment. In the end, nothing can be changed, nothing can be taken back. There are no “perfect” words to describe this story… Lily’s story. It is about life…Lily’s life. Who are we to judge?